Ground floor unit in secured building! Top rated schools! Beautiful new wood laminate flooring and new wood look ceramic tile flooring in baths. Bright open floor plan with living & dining areas. Kitchen has brand new stainless steel smooth top range & microwave and laundry room. Master has a large walk-in closet and bath with oversized shower. Guest bath has a new vanity. French doors open to a cozy patio with exterior storage closet. Oversized end unit garage with windows is located in a separate building. Residents enjoy a clubhouse with fitness center, 2 pools, tennis and park. 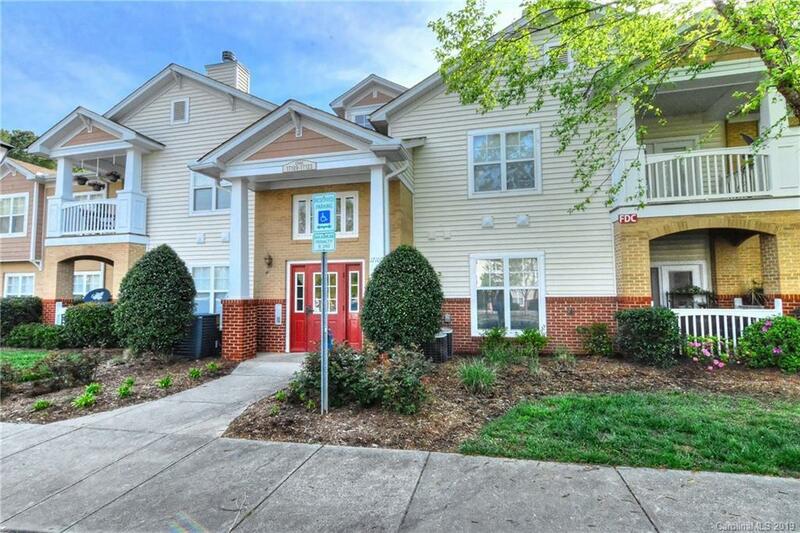 Great location minutes to Ballantyne and I-485! Buyer's Agent is responsible to verify all important information including school assignments.